Leading the organization requires an exceptional, easy-to-operate, flexible office phone, and the Polycom VVX 600 phone offers all of the above (and more) to management and the executive suite. The VVX 600 adopts the touch-based interface of the most popular modern mobile devices, making it easy for anyone to pick up one of these devices and understand how to use it. 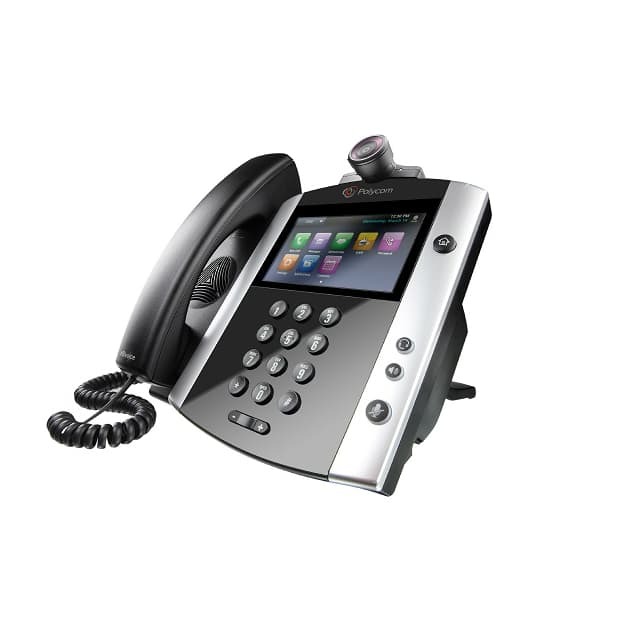 The device offers Polycom® HD Voice™ for high-quality audio, as well as a full-color high-res multi-touch screen for a high-end UC solution. These phones are appropriate for businesses of all sizes and they are compatible with certain PC applications (eg: access to Microsoft Exchange Calendars, upcoming meeting information, and easy connection to organizational directories, among other applications). VVX 600’s can even be configured to be navigated with a keyboard/mouse combination. Native web applications provide personalized information quickly and easily, and the device enables streaming content via video playback. The device is also compatible with expansion modules and apps (including cameras for video conferencing).